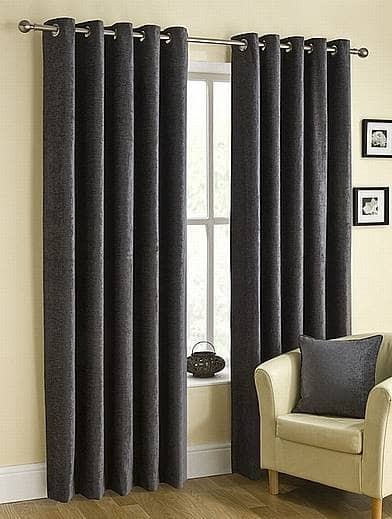 Rico is a richly textured, soft chenille curtain. 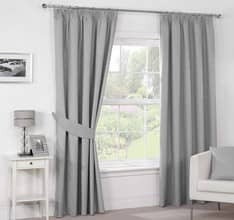 This fully lined curtain has a chrome eyelet heading, ensuring it easy easy to hang with perfect results. 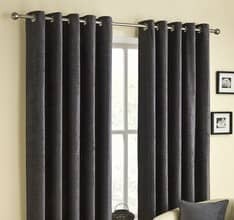 Perfect curtains, shortened to correct length. As before and no thank you videos and pictures wont be attached !!! 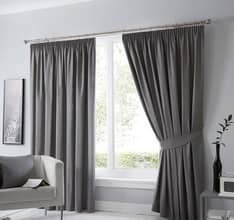 Great quality and value for money. Excellent value. 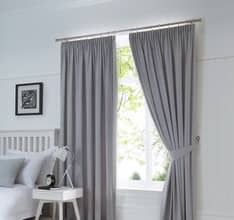 Love idea of having long curtains shortened rather than having the expense of made to measure. 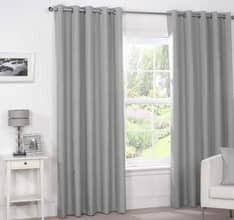 I wanted a dark grey curtain and the colour is perfect. Also the material looks very plush. Good quality. Perfect size. Pleased with how much light is blocked out. Are more blue in colour than I thought from picture.